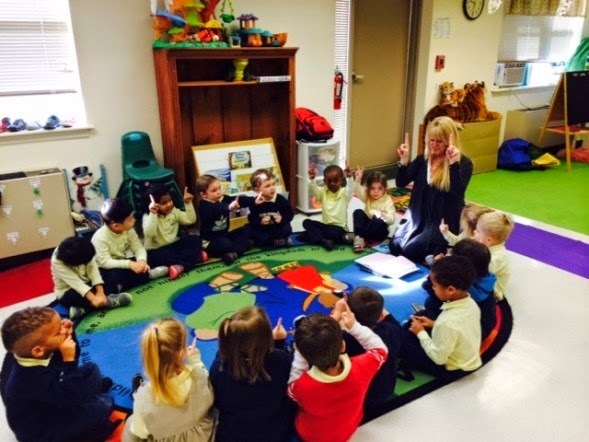 The New Year brings calmness, peacefulness to the preschool program with the introduction of Twinkle, Twinkle Little Yoga, led by Susan Finn, certified Child Light Yoga instructor and Pre-K teacher Assistant. Weekly she gathers the children for about 30 minutes of activities that include mindfulness, self-control, kindness to others, meditation and relaxation known to the children as “going to our special place." The children listen to directions, read and act out poses from a story, imitate animal movements and then relax. Mrs. Finn states” exercise is just the beginning of yoga’s benefits for kids It’s not religious, but everyone knows there’s something special about yoga beyond the physical practice.” She teaches her students yoga breath — slow, deep breathing — to help them calm themselves, and to remember self-control and kindness. 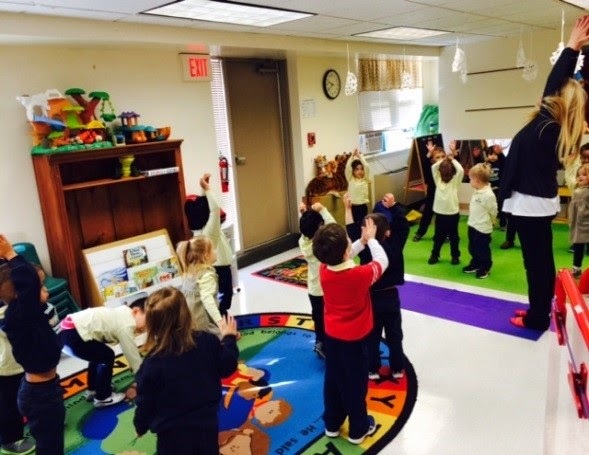 The preschool Yoga program is built around music. It incorporates the monthly virtues through storybooks, and peacefulness and calming poses. The children journey to their special place, such as the ocean, moon or a forest, learning yoga poses that carry them on their peaceful journey. Many of the benefits of kids’ yoga are similar to those that adults enjoy. Both adults and children get exercise while developing the relationship between mind, body and breath. But while adults get out of their heads and into their bodies, children learn that their minds control their bodies.